The kind of the “second” section of our journey after KwazuNatal parks was the famous Kruger Park. It was first founded in 1898 and during the years it has grown to huge measures. 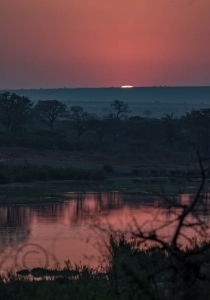 Kruger is one of the biggest park in Africa, and it covers nearly 20 000 square kilometres. The distance from South to North is around 360 km and there is 850 km of tarred roads and some 1500 km of gravel roads. The speed limit on tar is 50 km/h and on gravel 30km/h, so you cannot expect to see the whole huge park on 6 days. There are 12 main rest camps in Kruger and besides these also 4 satellite camps and 5 Bush camps. In the main camps there is restaurant, shop and fuel stations, etc facilities, even mobile Internet worked time to time 🙂 Because Hans and Maud had visited Kruger many times before they had already their favourite camps. 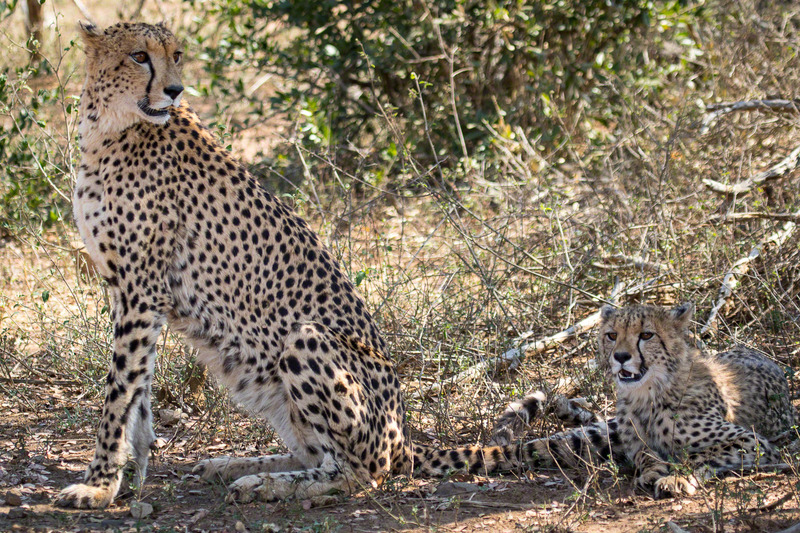 The problem was that we had lesser time to spend in Kruger that it would have needed to stay in all their favourites, so we needed to make picks. After pros and cons we chose 2 nights in Lower Sabie and 2 nights Satara (which are the 2 major ones of all the main camps), and to compare and to settle down a bit before heading back home 2 nights in one of the bush camps: Talamati, probably the smallest and cosiest of all camps. The accommodation Maud had chosen for us was once again excellent! We had two 2 bed bungalows with perimeter views next to each others. The sun rise from my deck looked like this… The camp is just a stone throw away the river, so it was great to hear hippos “talk” and look buffalos drink and enjoy the beach. The Mug’n’ Beans restaurant is located even closer to the water and build on top of wooden poles, there is also a large outdoor dining area and a terrace where we had lunches and dinners. Our days were more or less like copies of the previous days in the Natal parks: wake up call 05:15 am and the when the gate is open at 06am out the drove. We had a loose route plan for each day which allowed changes on the go if we felt so. The funny thing is that even if Sabie camp accommodated maybe about 100 groups (?? my wild guess!) (and as many vehicles, too) and the most are out, say in 15 minutes the gate opens, there is still no, or just little traffic after first 3 kilometre s away from the camp. There are so many different roads and routes to take that people just kind of disappear in the “bush”. We so well experienced this on both Sabie morning drives. Especially the gravel roads are very quiet in terms of traffic. When we left the camp sun had just risen above the hoziron, but in just 10 minutes after, pretty thick fog started to take over the scenery. The sun was there somewhere behind, but horizontal view was limited to less than 50 metres. 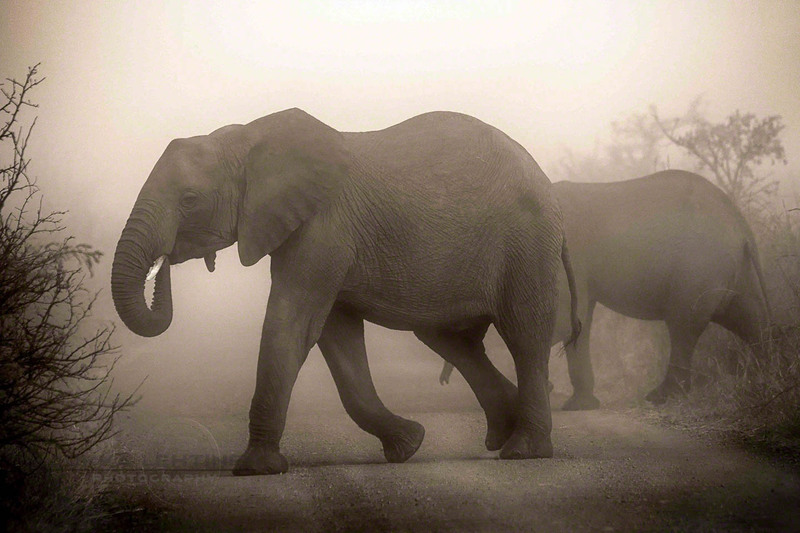 We were on dirt road and suddenly a herd of elephants broke through the fog crossing the road ahead of us. Again that large majestic animal made us feel goosebumps, silently and slowly walking and rising from the fog and then just a few meters away the from road the fog swallowed them again. The fog was pretty persistent that morning, even the sun got higher minute by minute. When we had checked that the road is clear from ellies, we continued driving. Then we were literally caught by a huge surprise! 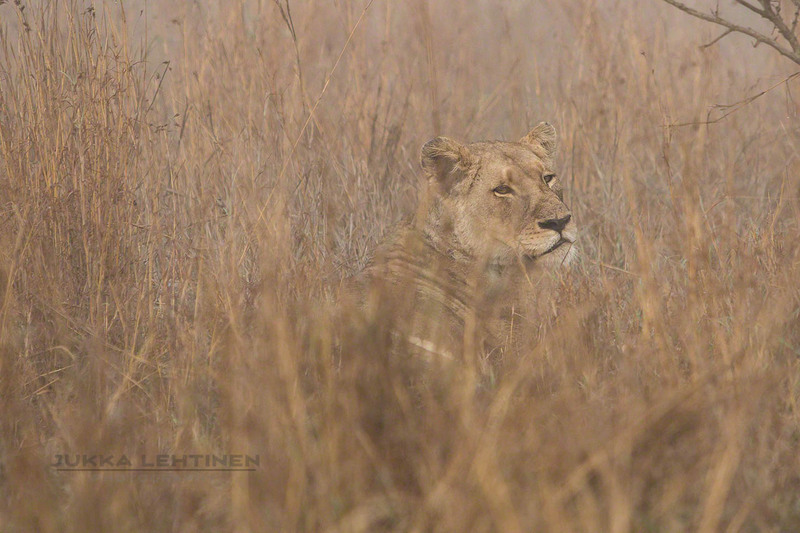 Behind a thick bush, just 2 meters away from the car was a lion couple laying lazy! It was so sudden that even if we were driving only slowly it took meters before Hans was able to stop and reverse back. 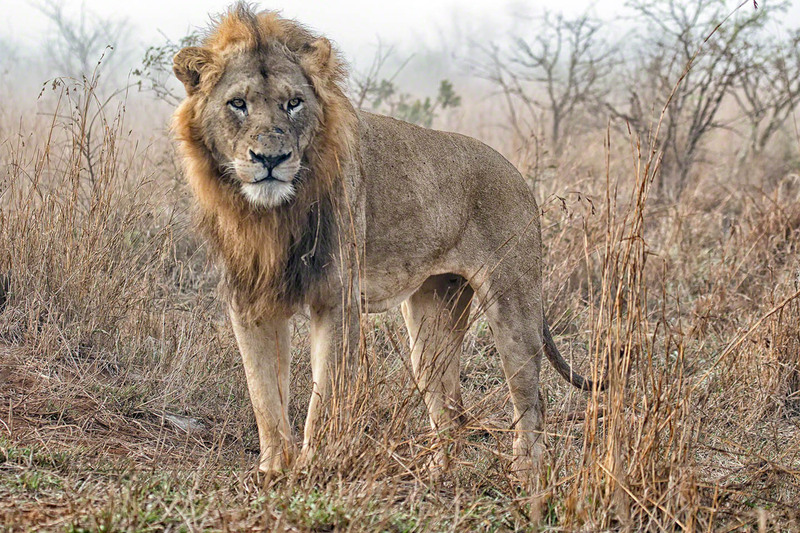 Mr Lion gave us the look, and then they, like royals, stepped 15 meters further in the grass. Since it seemed that they are not going to go nowhere we drove on after 20 minutes. We made a good loop and came back to the spot again. And still no other cars, they were obviously hiding pretty dang well in the grass, cos, it took even us a second to find them, and we knew pretty exact were we saw them last. ANd here we thought, now we have seen it all… but how totally wrong we were…! – to be continued on the next post !